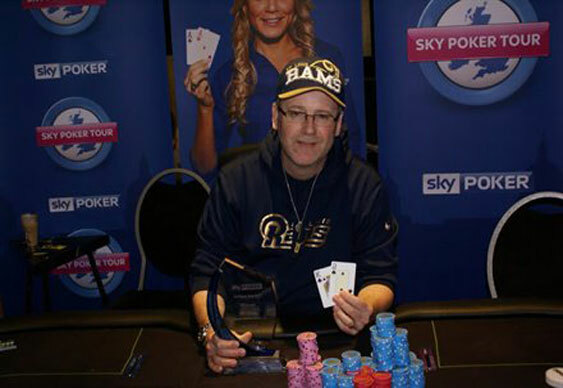 In addition to hosting the culmination of the PartyPoker Premier League over the weekend, Aspers Casino in London was also the venue for the latest stop on the popular Sky Poker Tour. After two days of action, it was Aaron Flamand who had turned his £200 into £11,905 after outlasting a bumper field of 267 runners. Among that number were such luminaries as Julian Thew, McLean Karr and James Dempsey but none could match Flamand who secured his biggest live tournament score. Flamand, who plays online as 'ramrage', beat Chris Love heads up for title, sealing victory when his king high flush beat Love's lower flush. The Sky Poker Tour ventures overseas for its next stop with the S Emporium the venue for SPT Dublin. The £200+£20 buy-in event runs from 11-12 May 2013 with satellites starting from next week.